I have collected over 100 poster battle maps from various Dungeons & Dragons adventures and other products. Although these maps originally supported particular scenarios or adventures, I reuse them for new adventures. To make the most of my collection, I needed a gallery that I could browse to find the best map to suit new an adventure, so I created one. Soon, I plan to create an page sorting maps into categories such as dungeons, ruins, towns, and villages. For now, I present galleries sorted by product category. 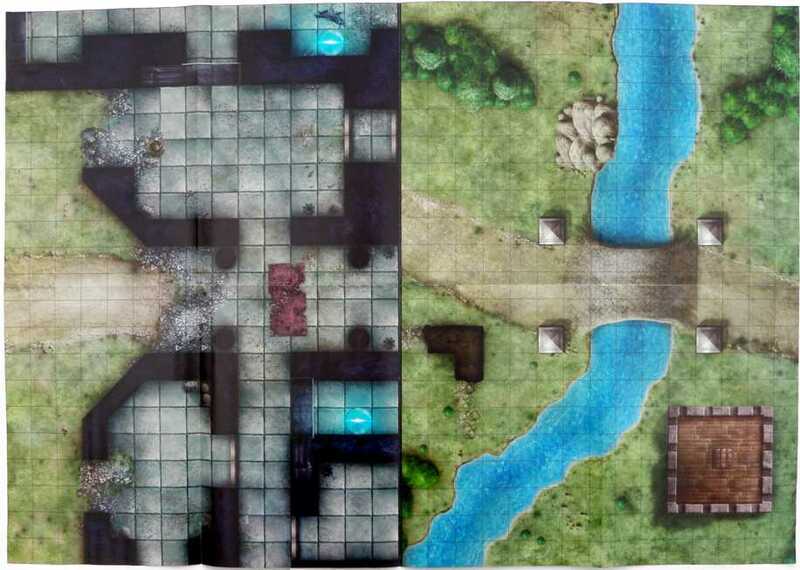 This entry was posted in Dungeon master's tools and tagged battle maps. Bookmark the permalink. Awesome!! Just what I need. If you do the follow up search database thingame then I’ll be in blog nirvana! This is terrific. Thanks a ton!